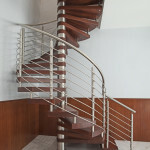 Spiral staircases are an ideal choice for small areas in any residential or commercial space. 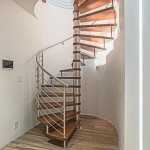 From glass to stainless steel, there are many options to choose from when designing your custom spiral staircase. 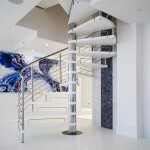 Spiral staircases are an ideal fit for any residential home. 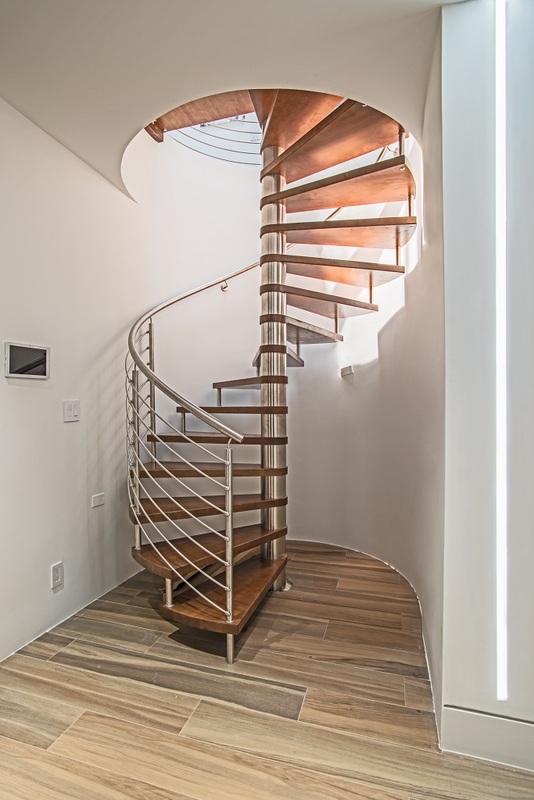 Installing a spiral staircase can open up any cramped space and allow for much more natural sunlight to flood into the home without obstructing any views. 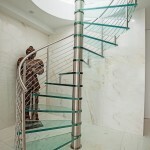 Customizing your spiral staircase to have glass elements is an ideal choice for creating a light and airy ambiance. 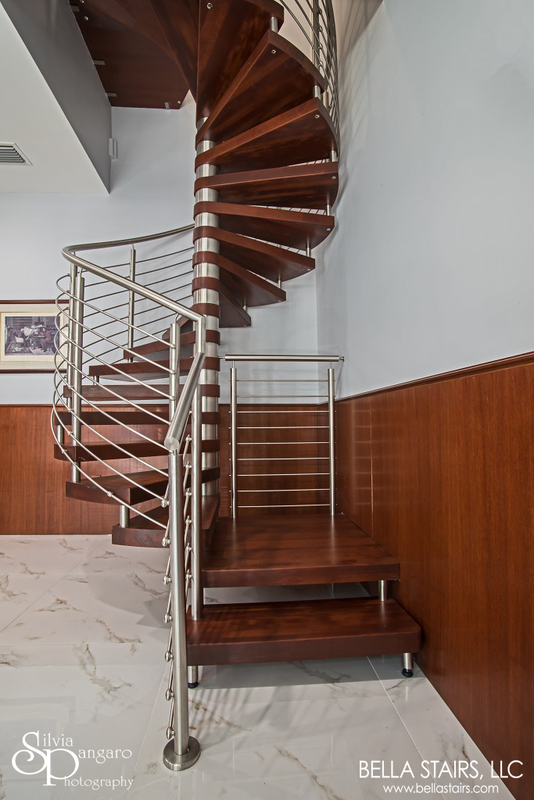 Wood treads can be customized to your taste as well, creating a dramatic contrasting effect or matching the surroundings seamlessly. 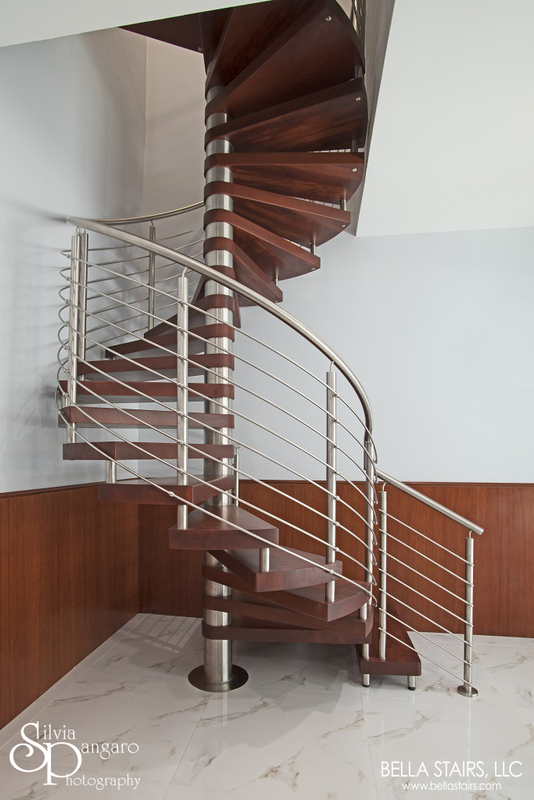 When designing railings for a spiral staircase, stainless steel elements are always a stylish selection. Keep in mind the endless possibilities you can achieve by focusing on the design details. 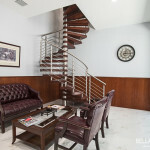 A spiral staircase is a perfect solution for any compact commercial space in need of access to the second floor. 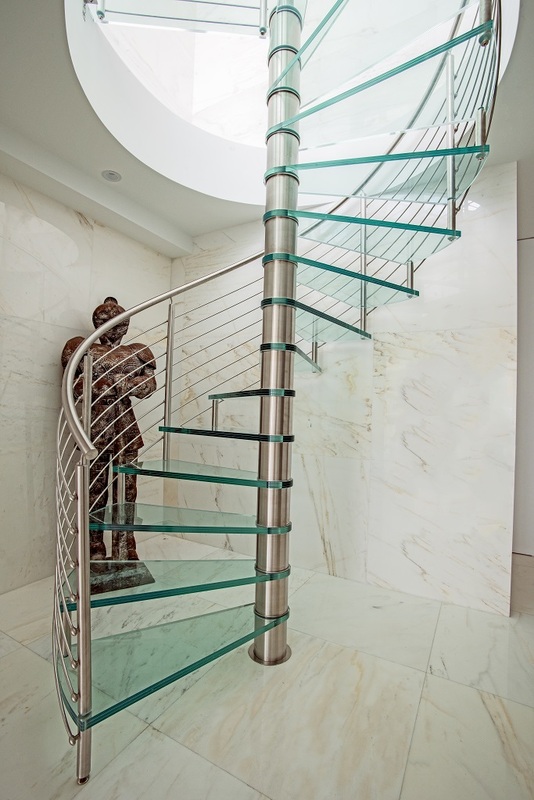 From light and airy to luxuriously modern, the right design details can create the look you desire. 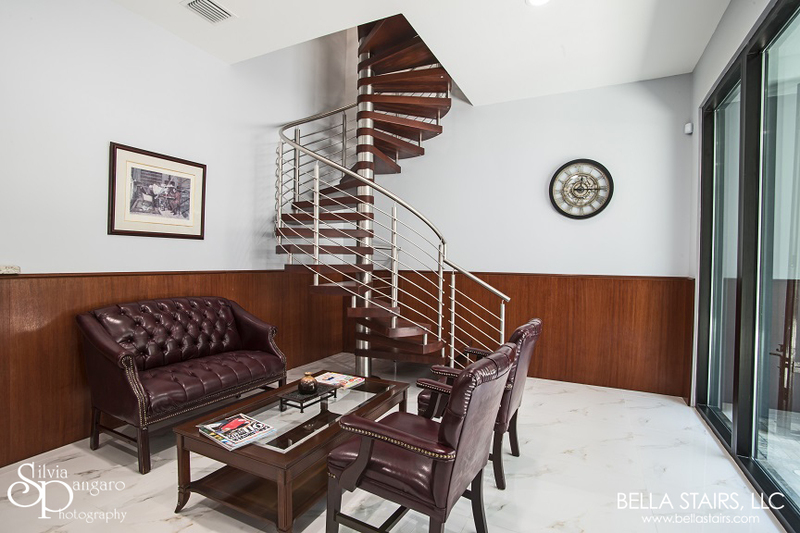 When building for commercial spaces, there are certain guidelines and building codes that must be followed. 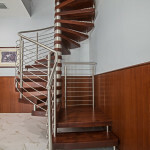 For example, as per Florida Building Code, the risers for this staircase cannot surpass seven inches in height. Installing a wood landing on the second step eased circulation due to the limited layout. 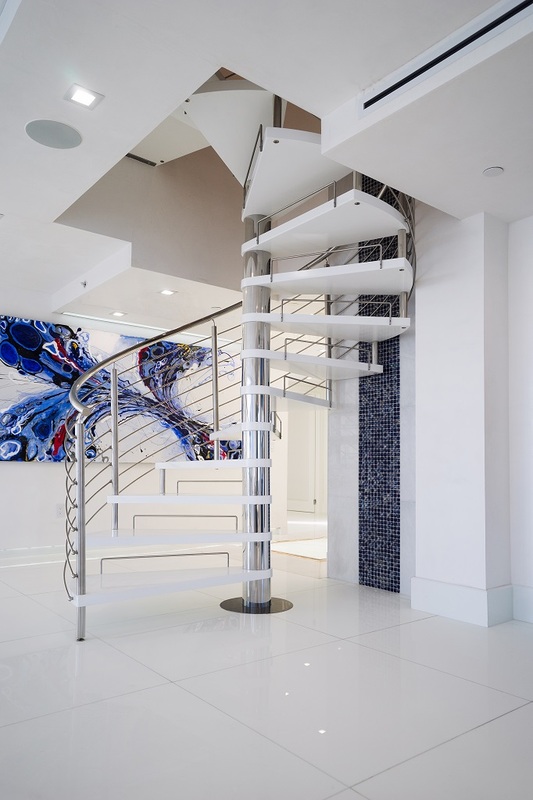 Whether you are creating contrasting elements or seamlessly tying in a design together, your ideal vision can be achieved with the right components.